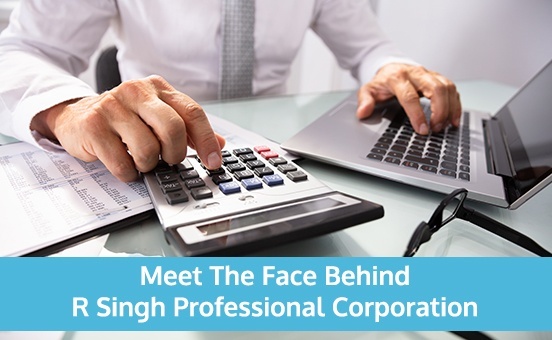 I established R Singh Professional Corporation three years ago to offer professional accounting services to individuals, small businesses, and corporations across Cochrane, Airdrie, Okotoks, North West Calgary, South West Calgary, South East Calgary, and Northeast Calgary. We pride ourselves on our ability to focus on solutions instead of problems. As a result, we help you create excellent growth strategies, translate your values into a set of guiding principles and standards of behavior that drive you towards excellence. Our excellent customer service, commitment to our clients and our work ethic has earned us several new clients, rewards, and recognition. We are also loyal and work with a sense of direction and compassion. Due to these aspects, as a firm, we’re continuously growing. The most rewarding aspect of being a business owner is the flexibility it offers as well as the opportunity to work with a fantastic team of professionals. As a team, we all derive immense satisfaction from positive feedback from clients as well as referrals from existing clients. When I am not at work, I am continually networking while also spending time with friends and family. If you or someone you know could benefit from our expertise in professional accounting in Calgary, AB, I invite you to get in touch. Please visit our website at www.rsinghpc.com.